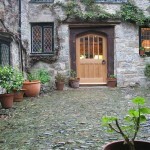 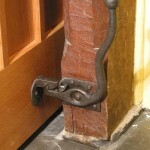 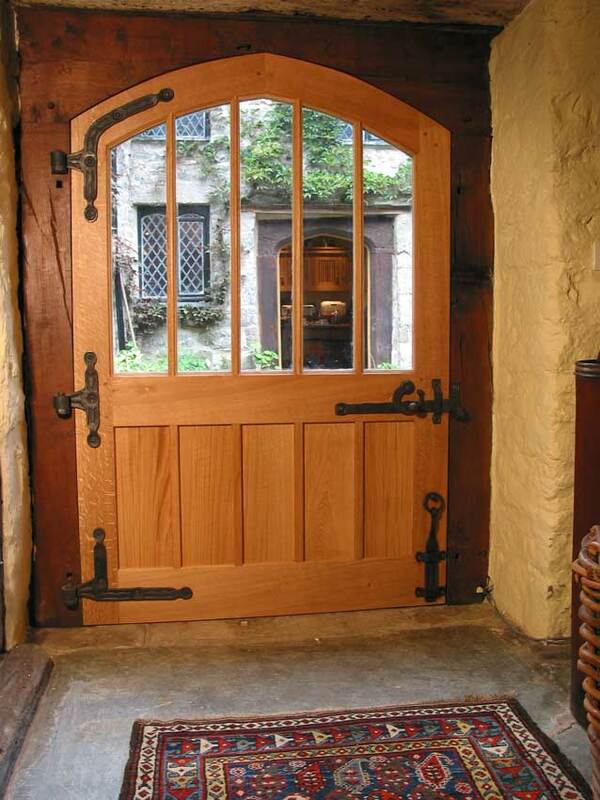 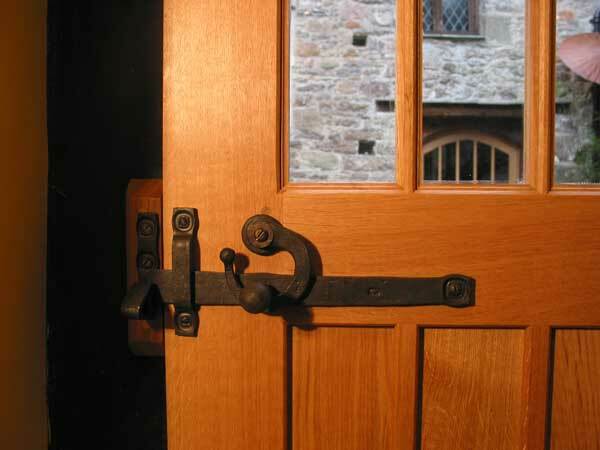 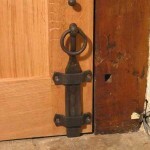 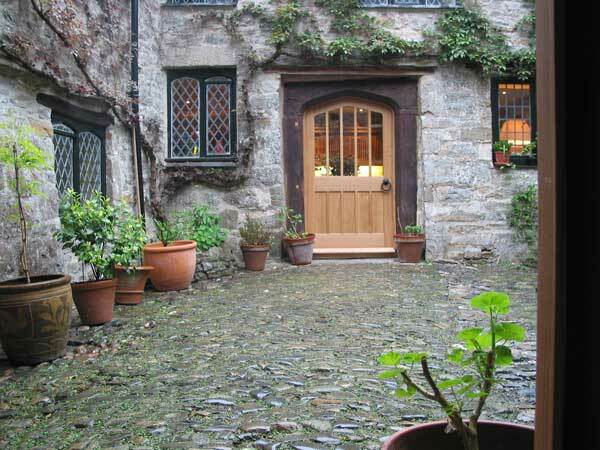 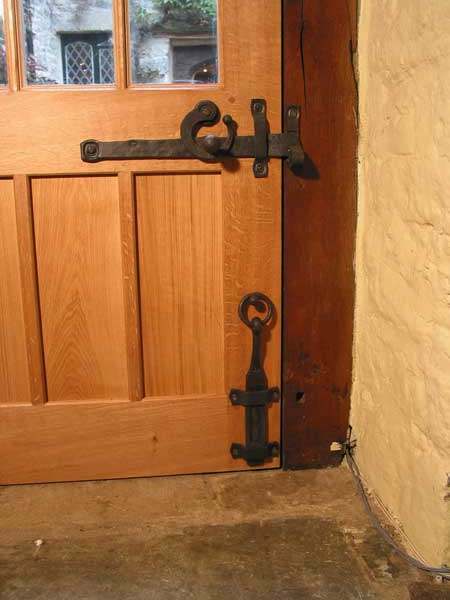 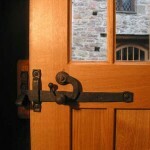 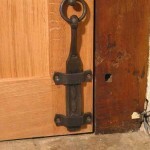 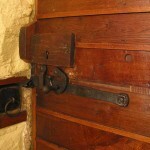 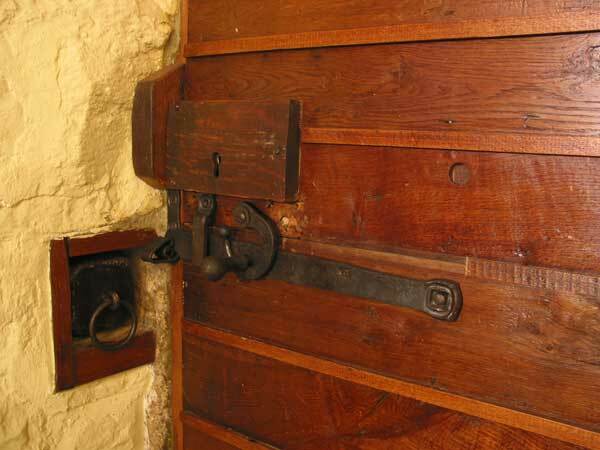 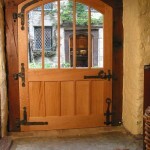 Shown here is the layout of the timber and masonry of the inside of the front door to this partly mediaeval building; because of its age and the existing holes through the door the spindle for the latch needed to be above the latch bar and this arrangement was the solution, which we then used on other new doors adjacent. 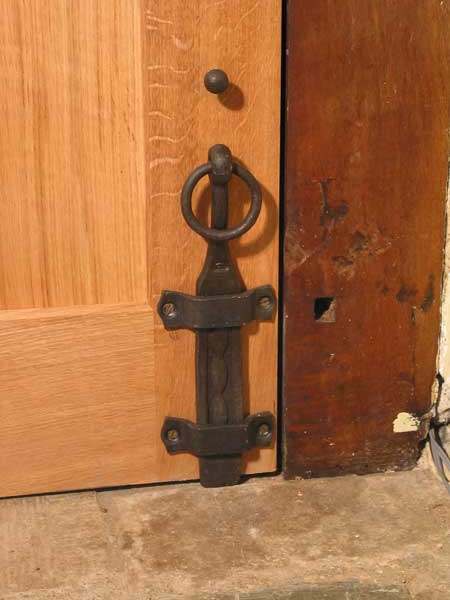 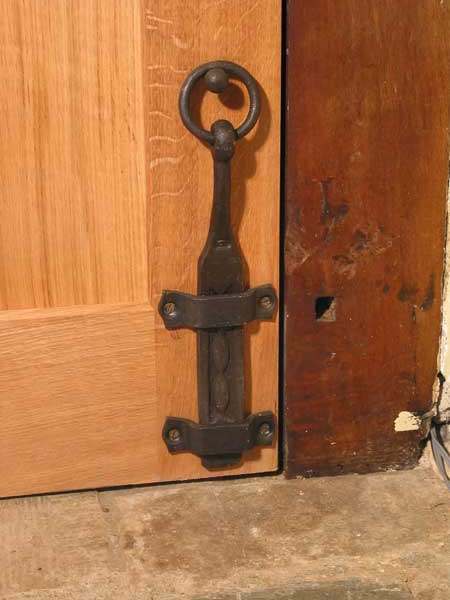 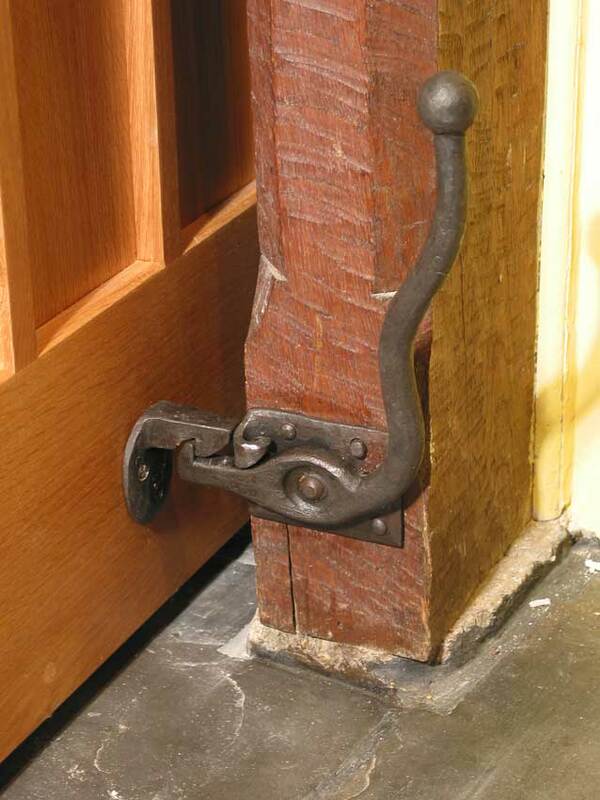 The hinges for the doors and the simple vertical action bolt were decorated with the same stamped relief; Also detailed is the hold back for one of these very wide doors. 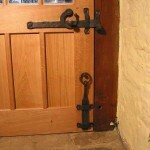 All forged steel; finish hot waxed.